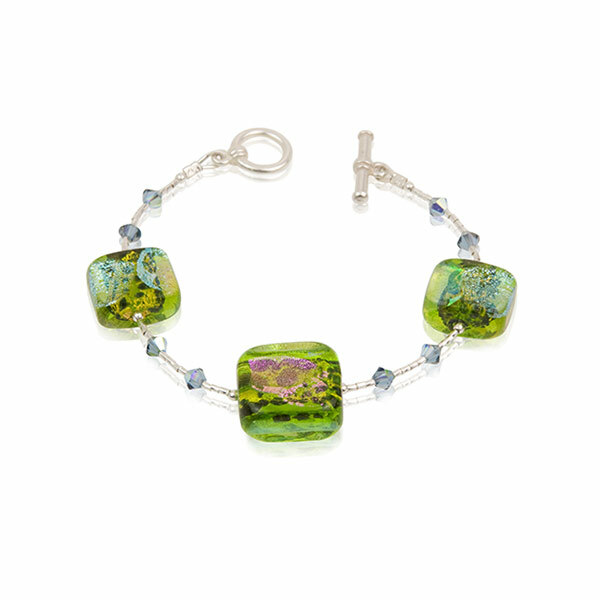 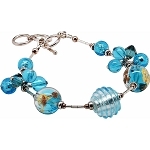 Blue aventurina and dichroic glass accents meld with silver foil and green Murano glass to create an iridescent, sparkling effect on this fashionable bracelet. 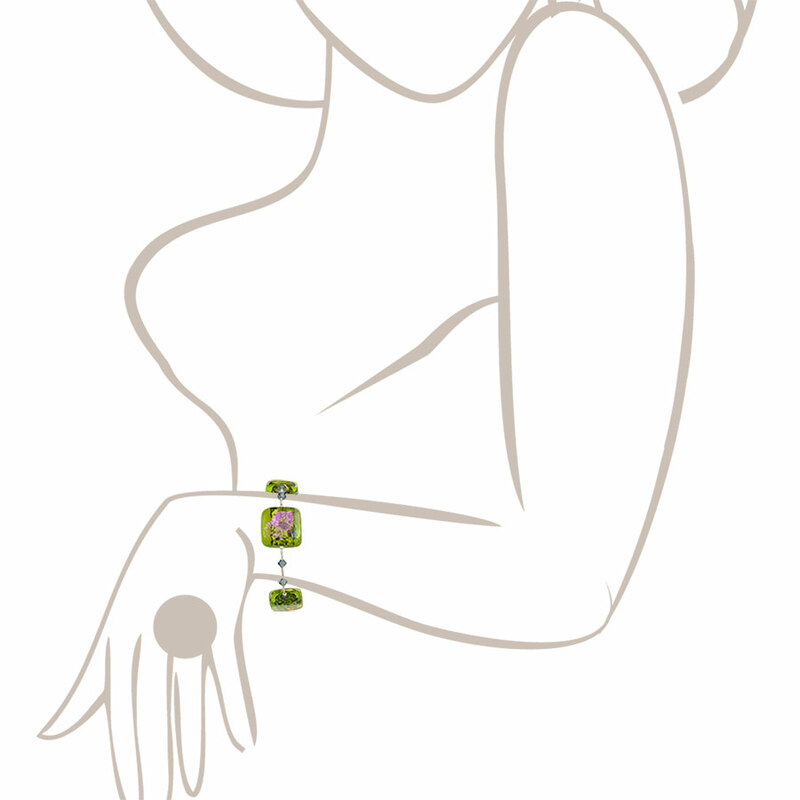 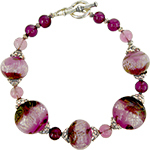 Made with sterling and silver plated components, accented with Swarovski crystals, and finished with a toggle clasp. 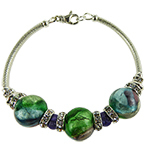 Available sizes: 6 1/2", 7", 7 1/2", and 8". 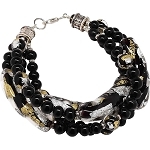 Please add the length you require in the comments as you checkout or contact us.